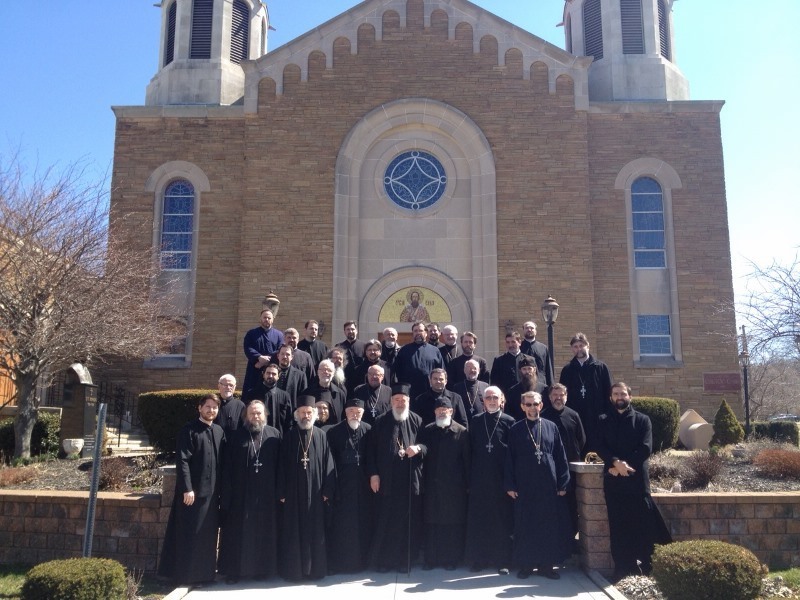 Cleveland, OH - With the blessings of His Grace Bishop Mitrophan of Eastern America Clergy Confession for the Cleveland, Washington and Pittsburgh deaneries was held on Wednesday, April 9, 2014. 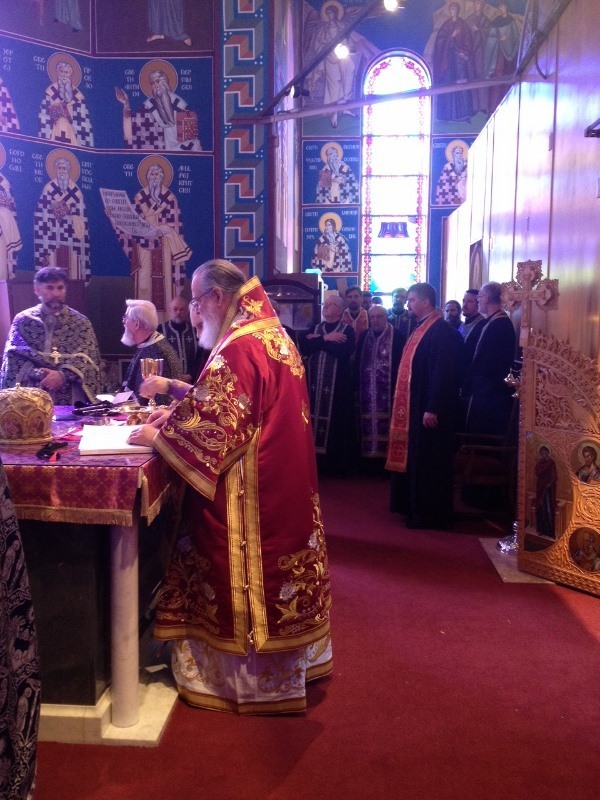 Bishop Mitrophan was unable to attend as he had travelled to Zagreb to attend the funeral of His Eminence Metropolitan Jovan of Zagreb-Ljubljana, of blessed memory. 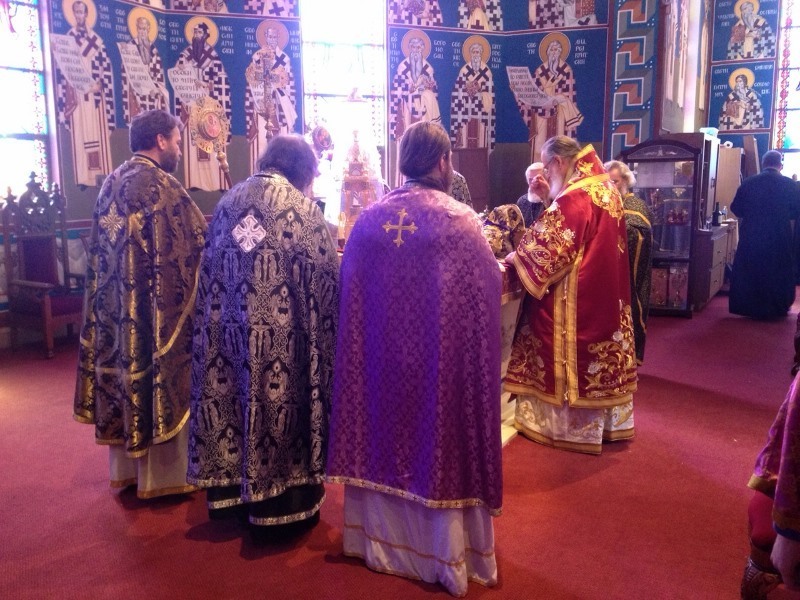 Officiating at the Presanctified Liturgy was His Grace Bishop Sava, retired Bishop of Slavonia. 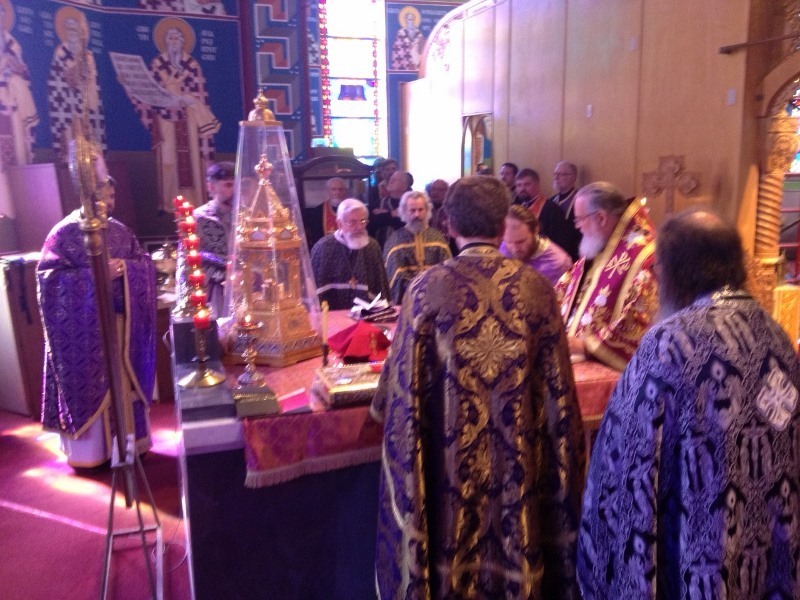 Concelebrating with the bishop were: Archimandrite Seraphim (Alavanja), Hieromonk Fr. Platon (Jovic), V. Rev. Stavrophor Dragoljub Malich, V. Rev. Stavrophor Rodney Torbic, V. Rev. Stavrophor Aleksandar Vlajkovic, V. Rev. Zivojin Jakovljevic and Rev. Christopher Rocknage. V. Rev. Stavrophor Rastko Trbuhovich was confessor.